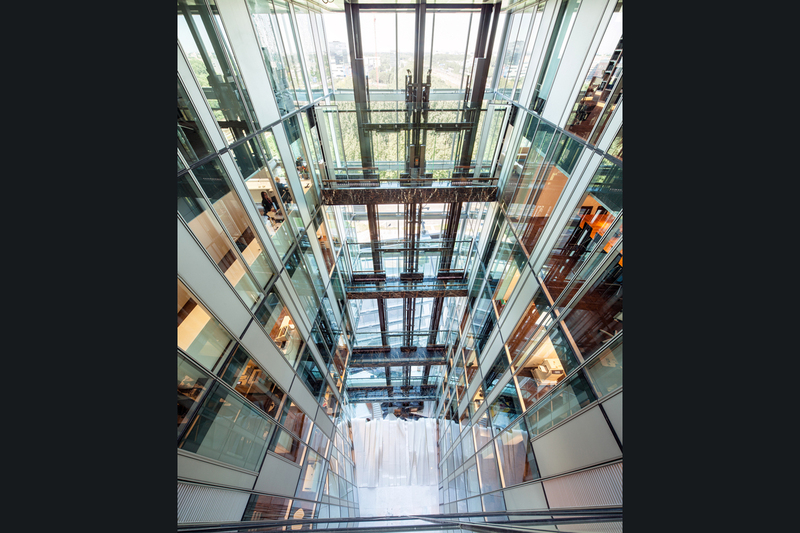 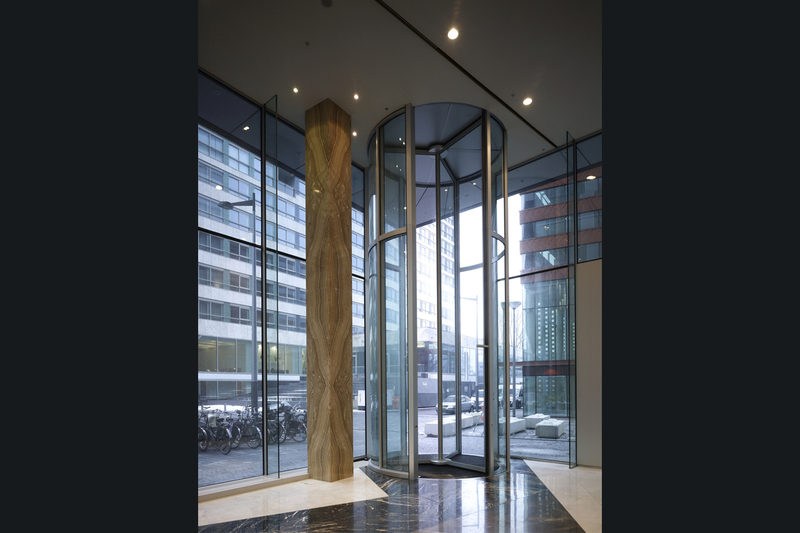 In 2006 the renowned Dutch law firm De Brauw Blackstone Westbroek selected the Erick van Egeraat office tower as their new headquarters. 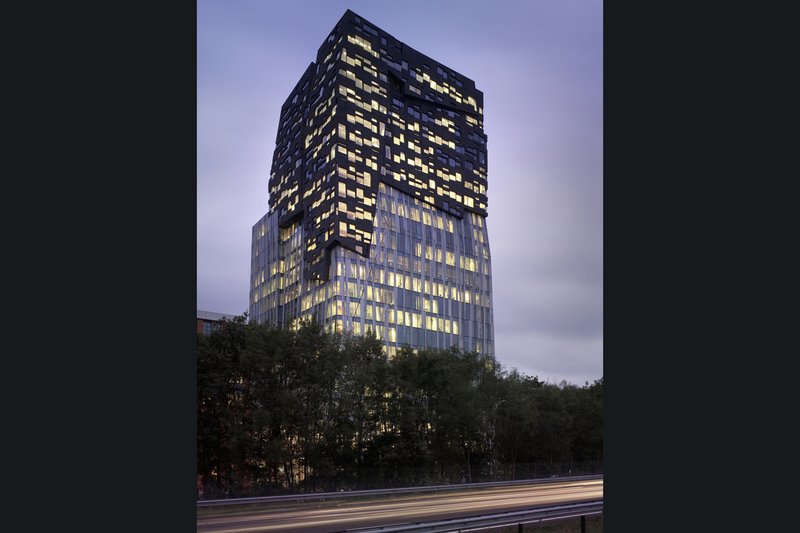 De Brauw Blackstone Westbroek commissioned Erick van Egeraat to design the interior of the 22-storey office tower, also known as ‘The Rock’. 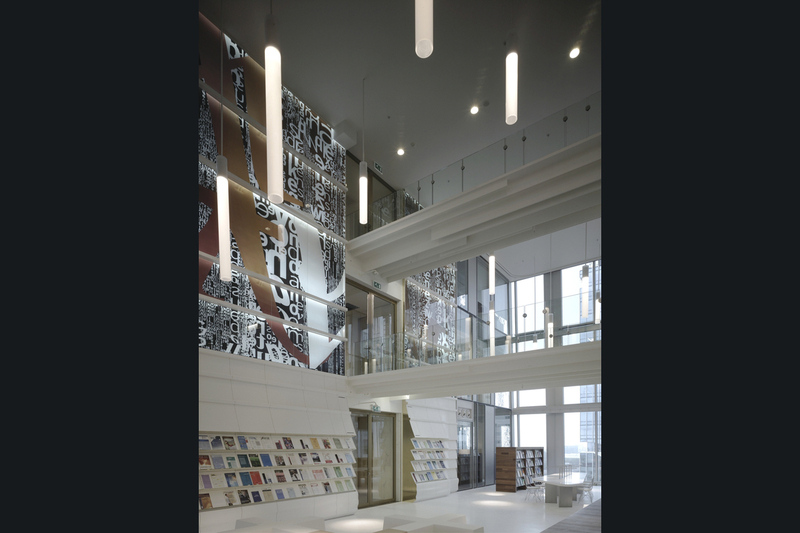 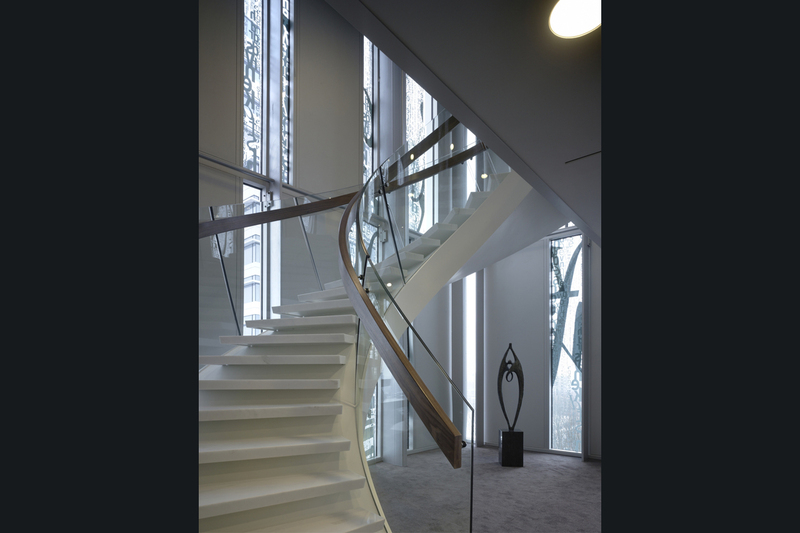 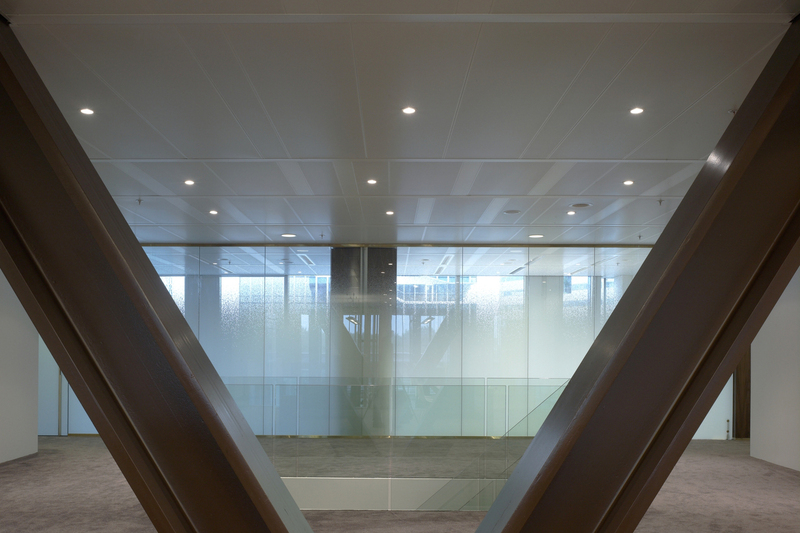 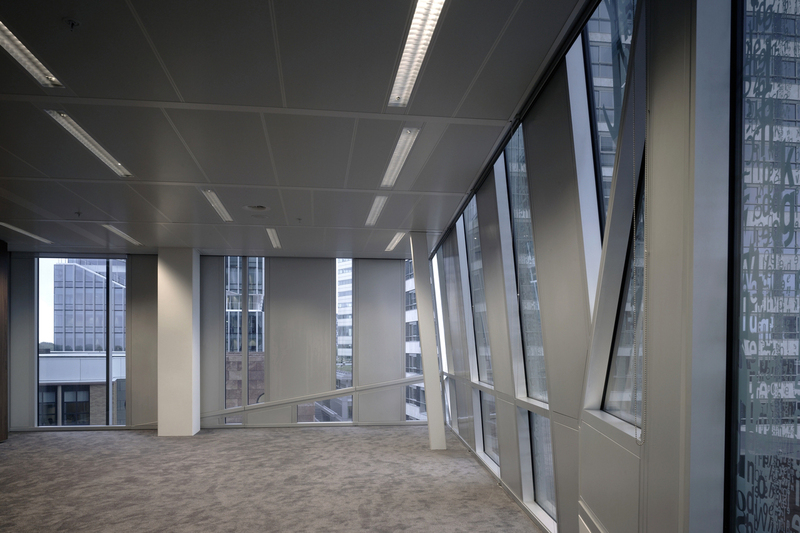 As De Brauw Blackstone Westbroek was to become the sole tenant of the building, the interior design was optimally tailored to the wishes and requirements of the law firm. 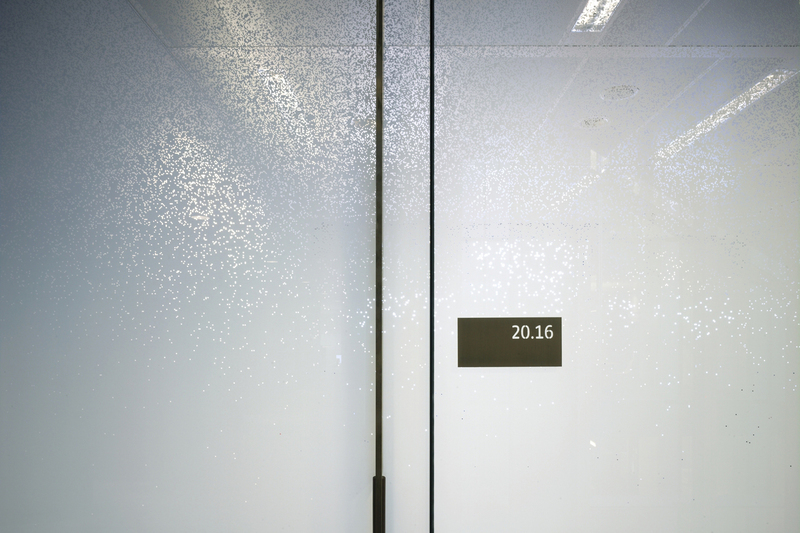 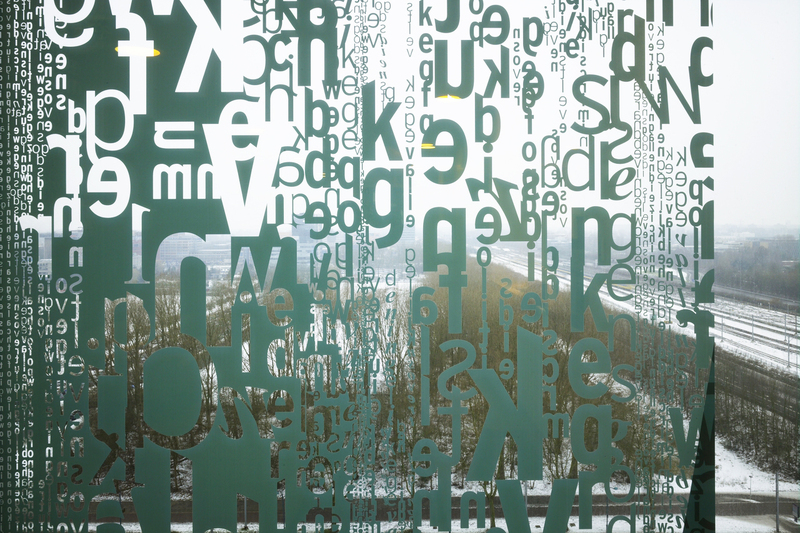 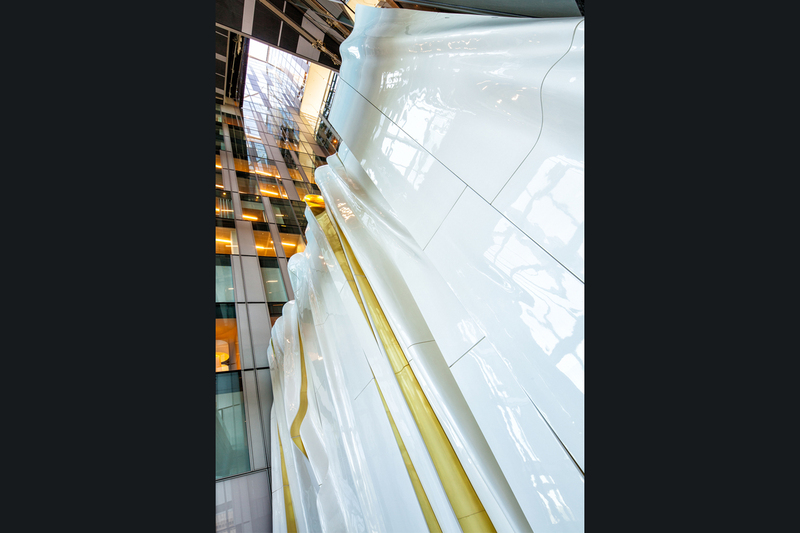 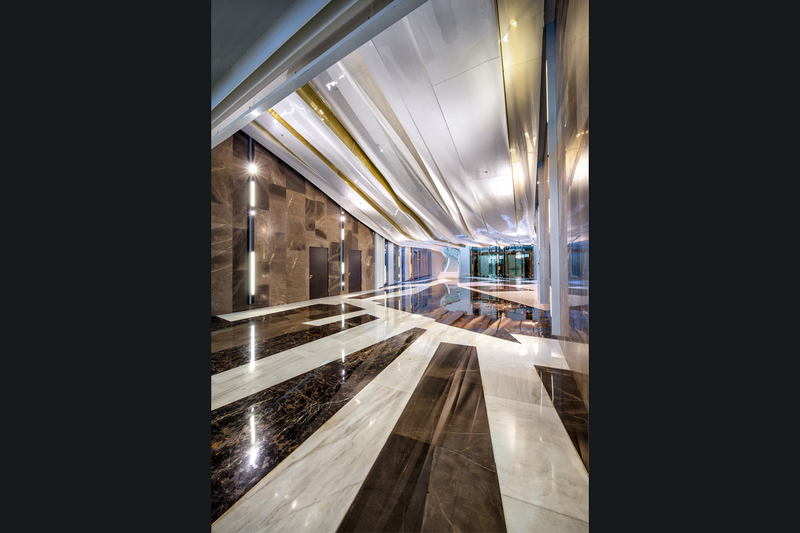 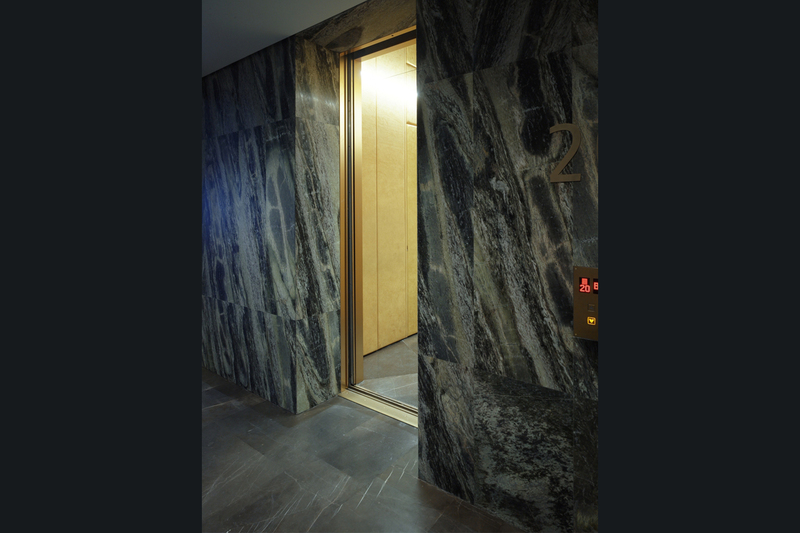 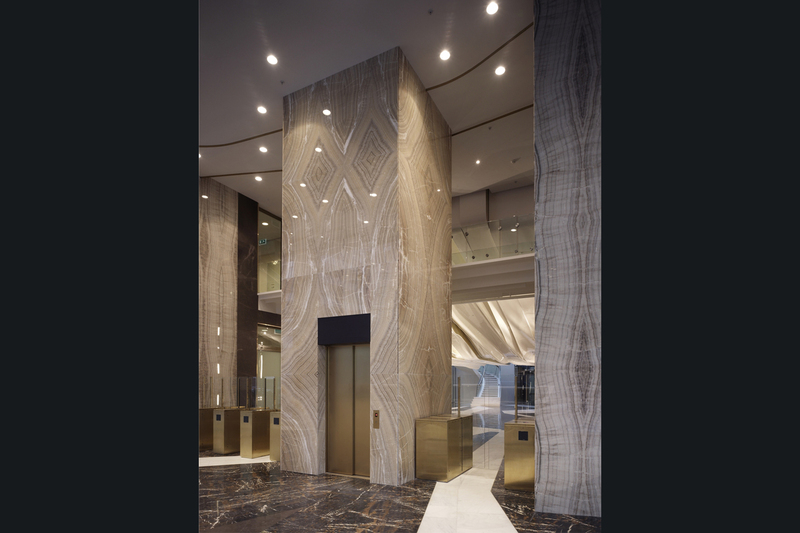 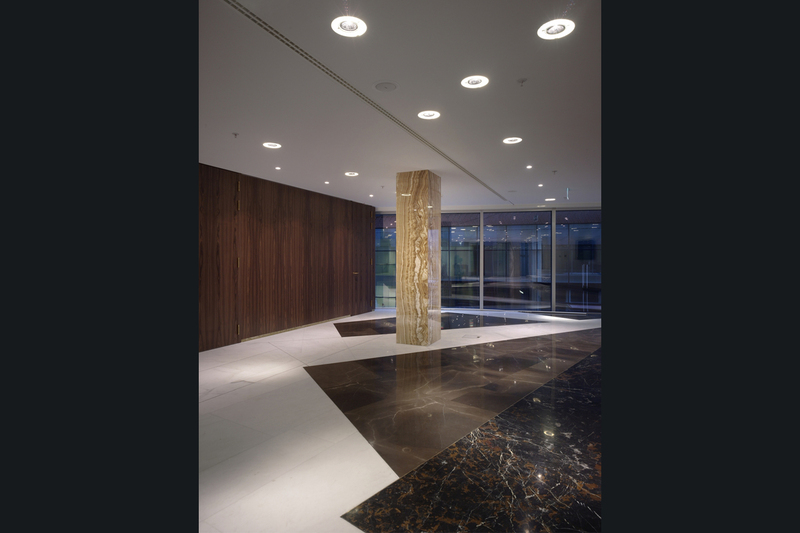 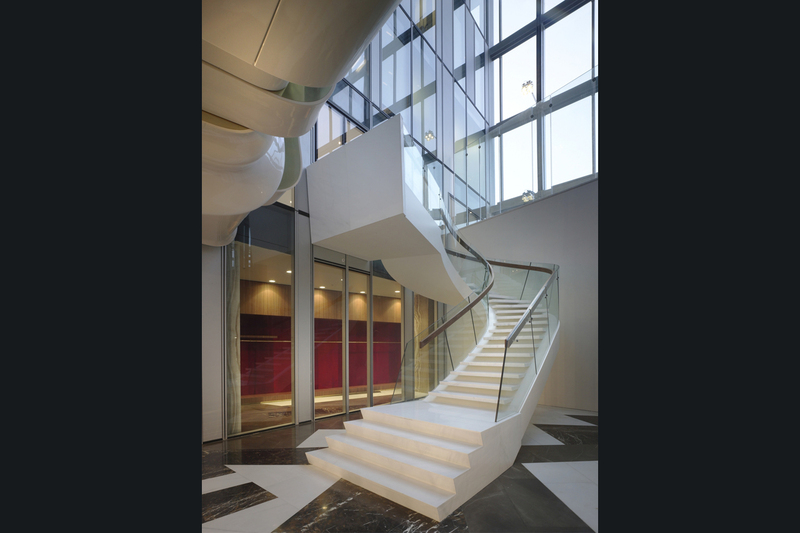 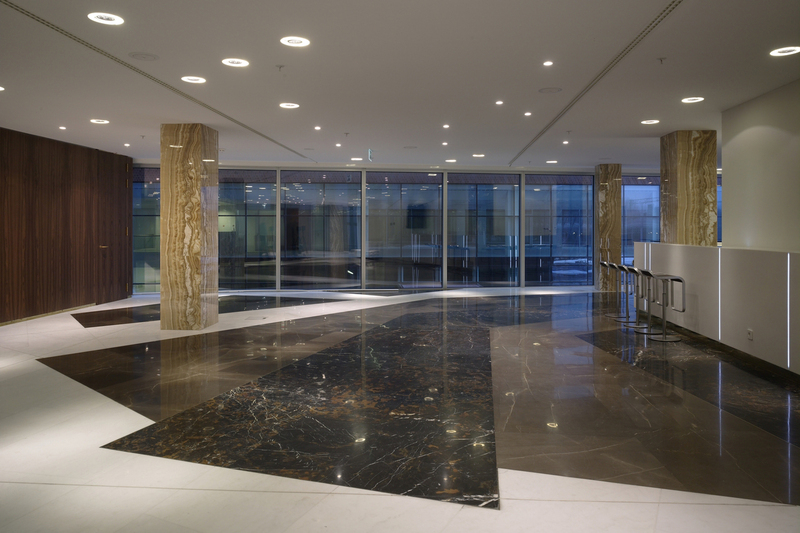 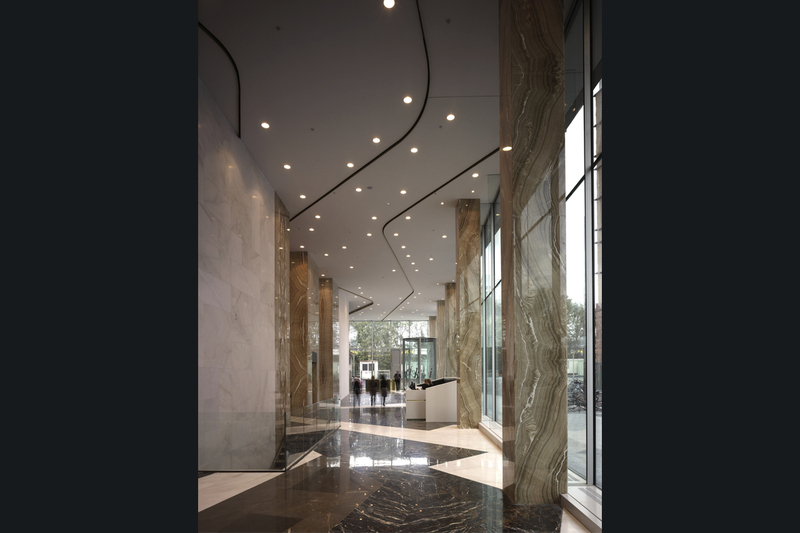 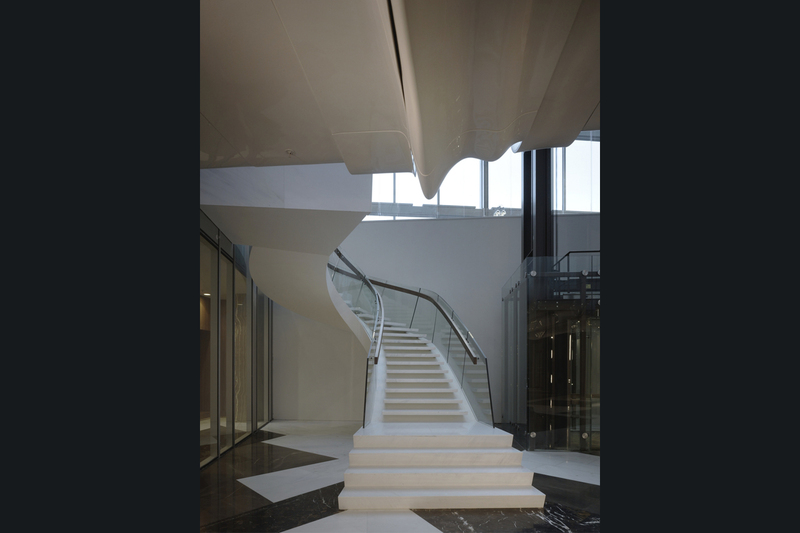 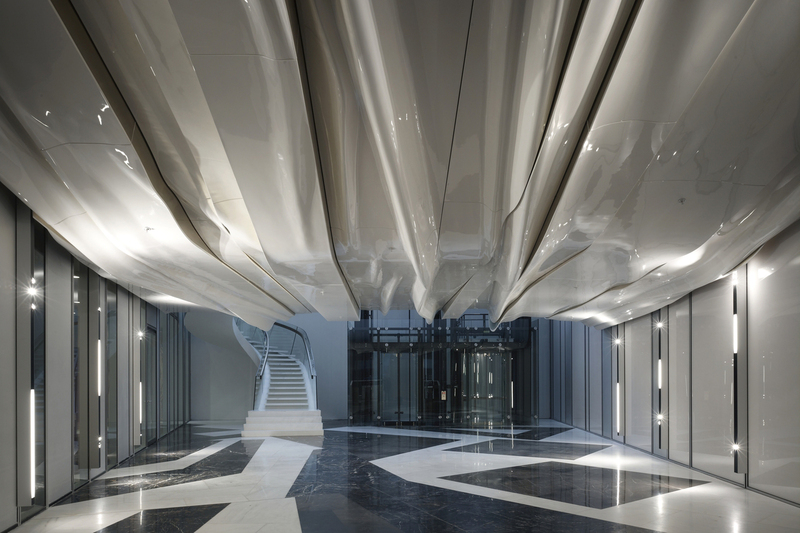 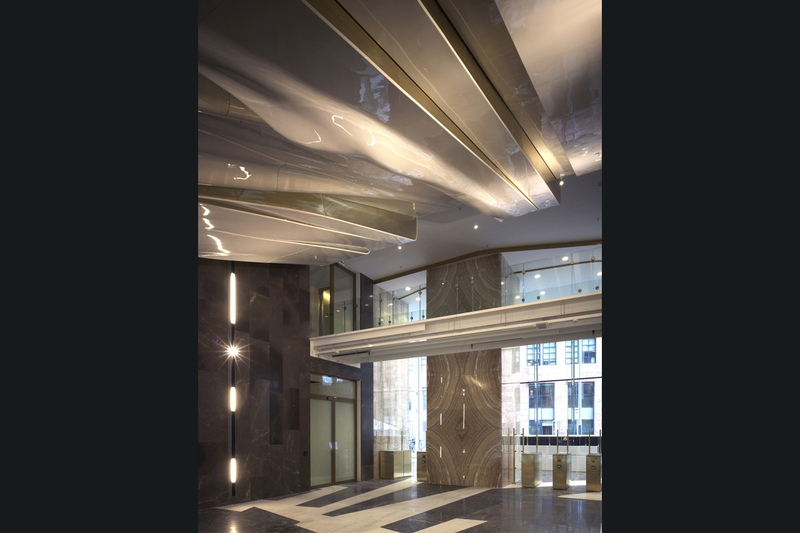 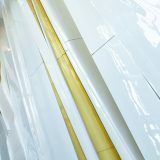 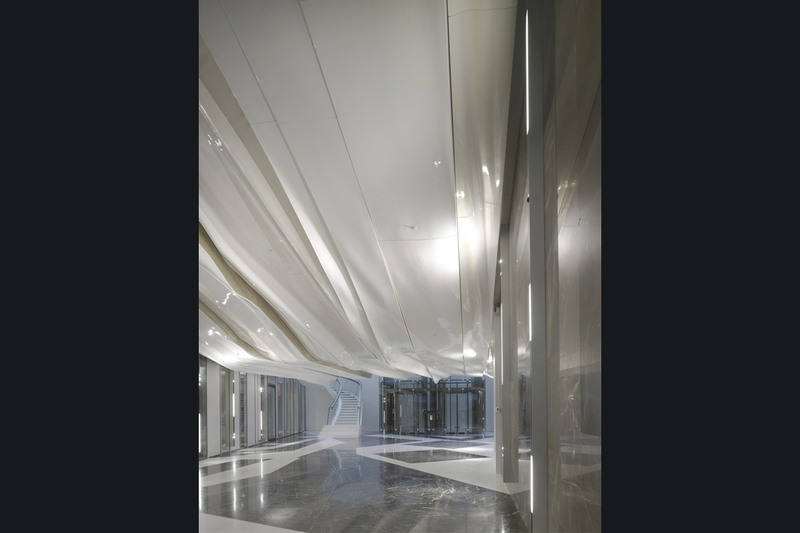 In contrast to the rock-like appearance of the exterior, the interior of the office tower had to have a warm, comfortable and representative appearance. 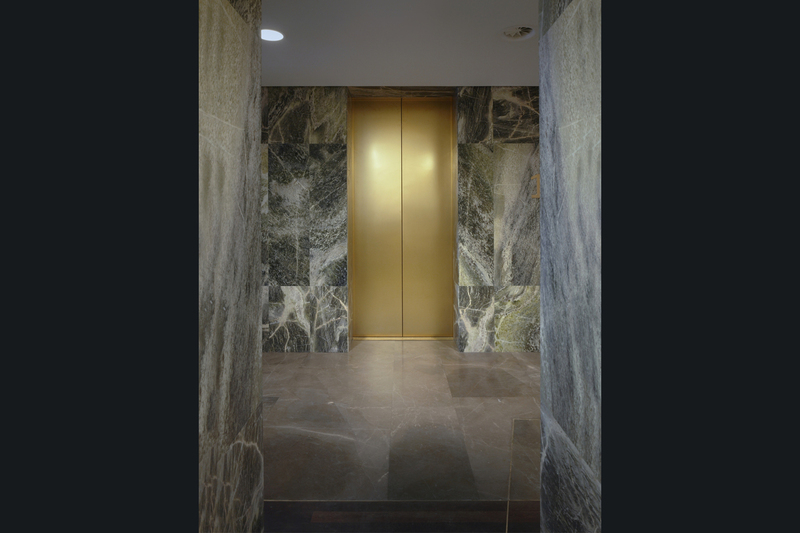 This is expressed in the frequent use of materials such as natural stone, wood and brass. 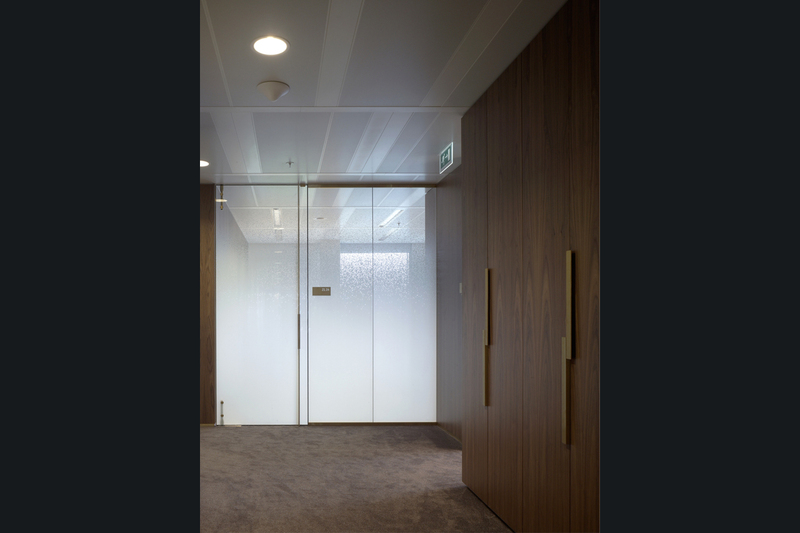 While the offices contain high-end furniture, with floor-to-ceiling wooden bookcases, the finish has been kept relatively simple. 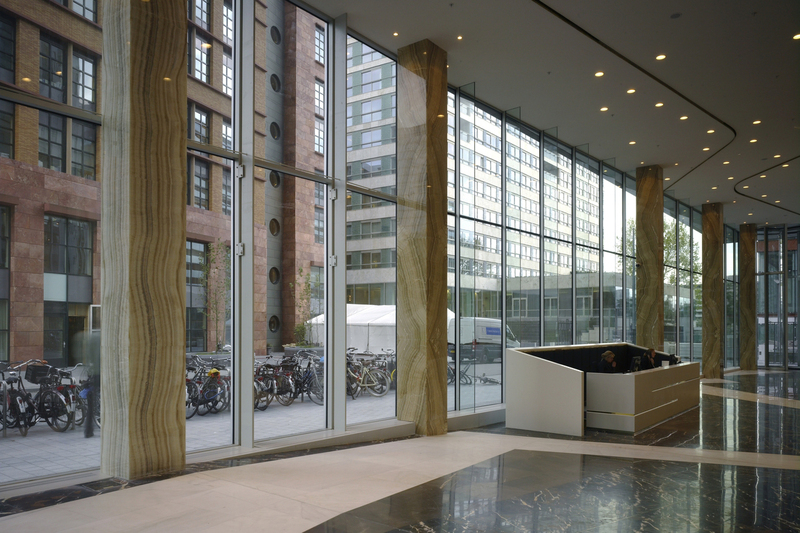 Shared facilities such as the restaurant, meeting centre and the library are centrally located on the first, tenth and eleventh floor respectively. 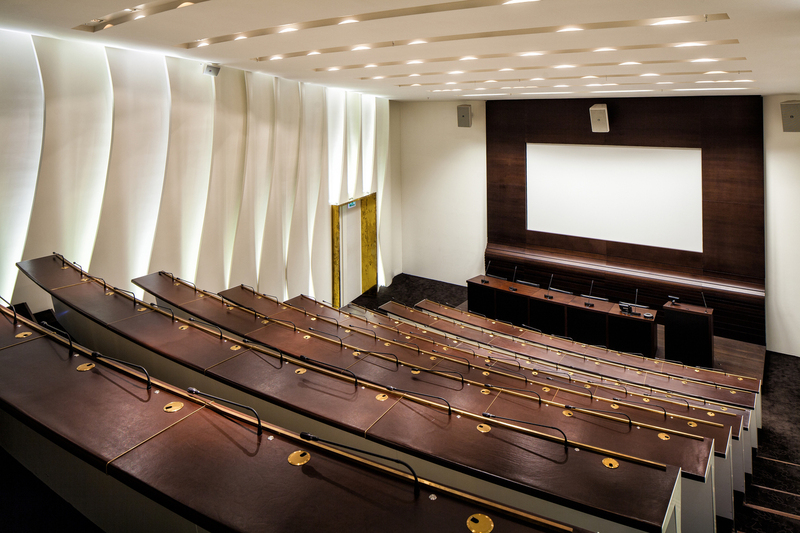 An auditorium is located in the atrium, where seminars, training programs and presentations can be held. 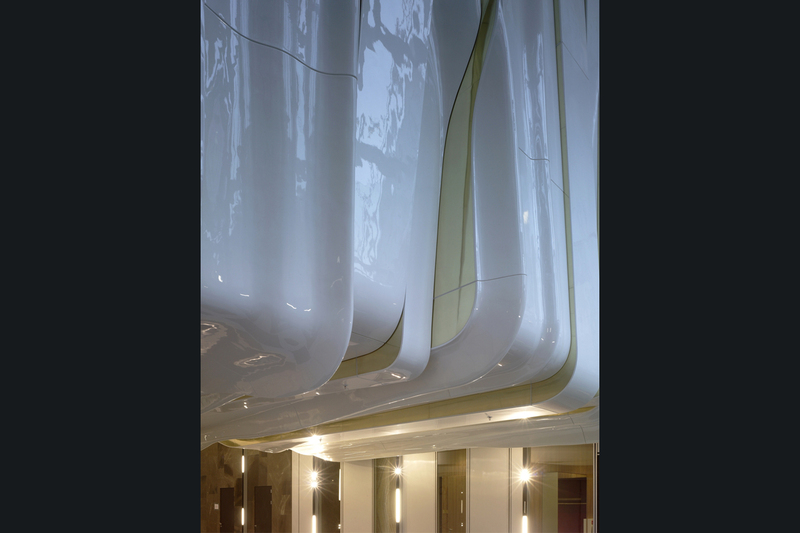 In contrast to the clean-cut design of the majority of the building, the auditorium has a very expressive shape, through which it decorates the atrium as an artwork. 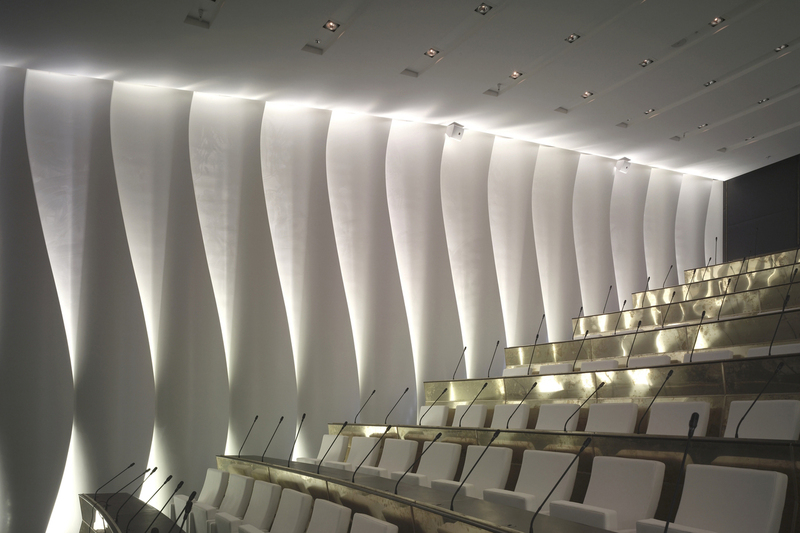 The auditorium was required to be functional, warm and elegant, and equipped with comfortable workplaces. 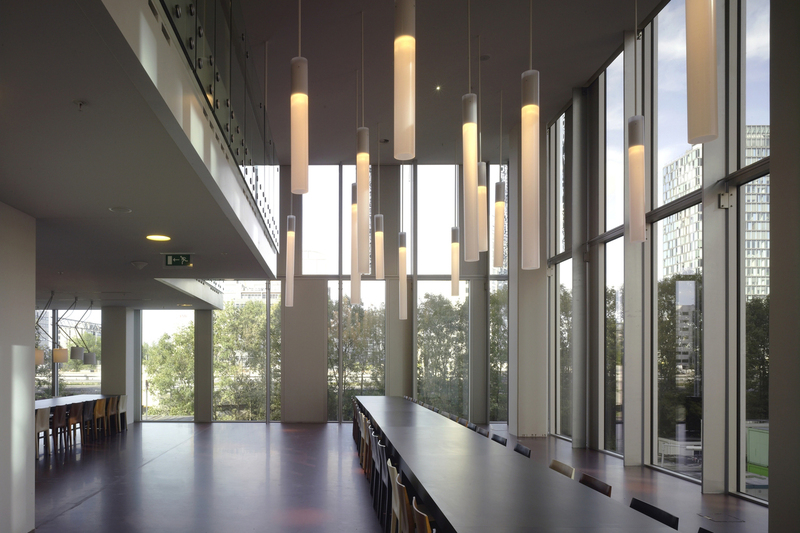 Eight rows consisting of ten workplaces were realized. 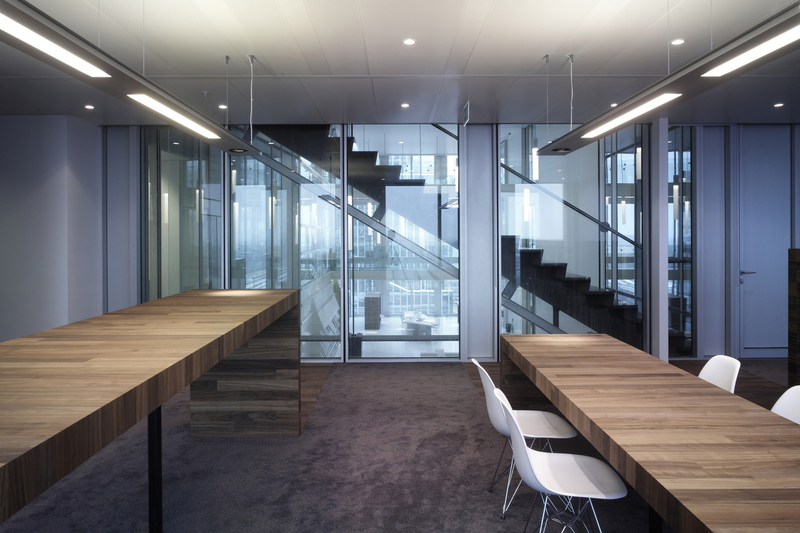 A carpet was designed especially for this space with the signature of Mr. De Brauw woven in. 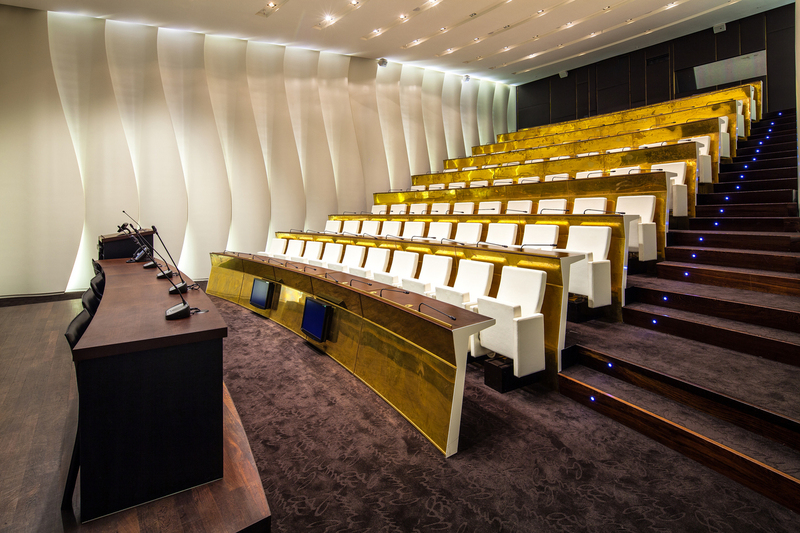 A courtroom is located in the mezzanine, where mock trials can be held. 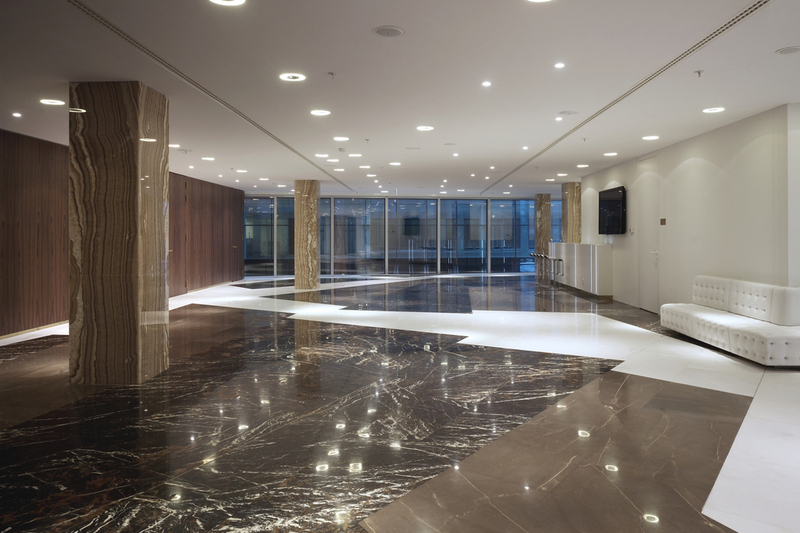 This space has a modest design. 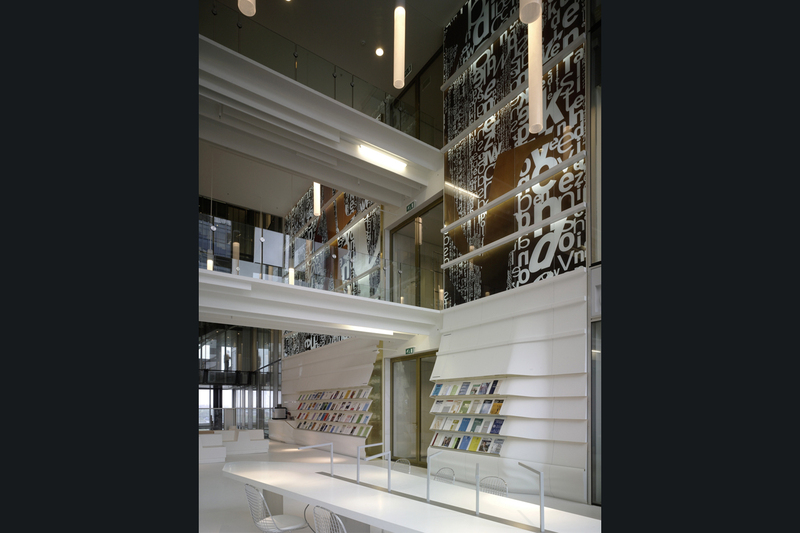 Its walls consist of lit three-dimensional wooden panels. 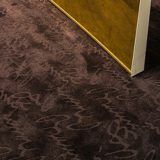 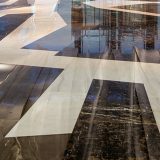 Here also the unique carpet with Mr. De Brauw’s signature can be found. 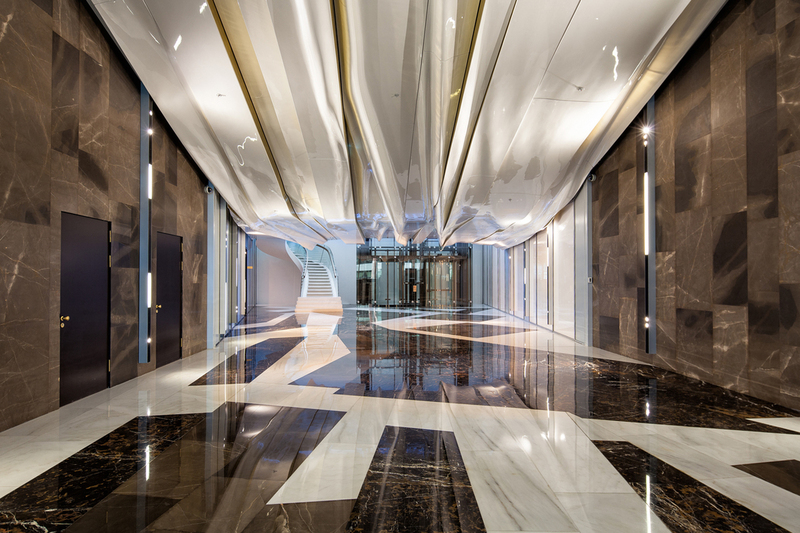 The combination of a specific program, the design, and all carefully selected materials has resulted in a unique interior that perfectly connects with the wishes of the user. 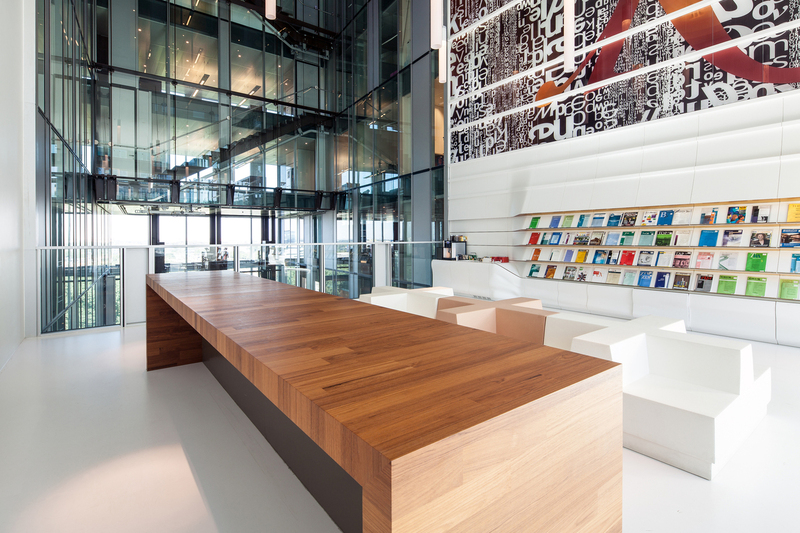 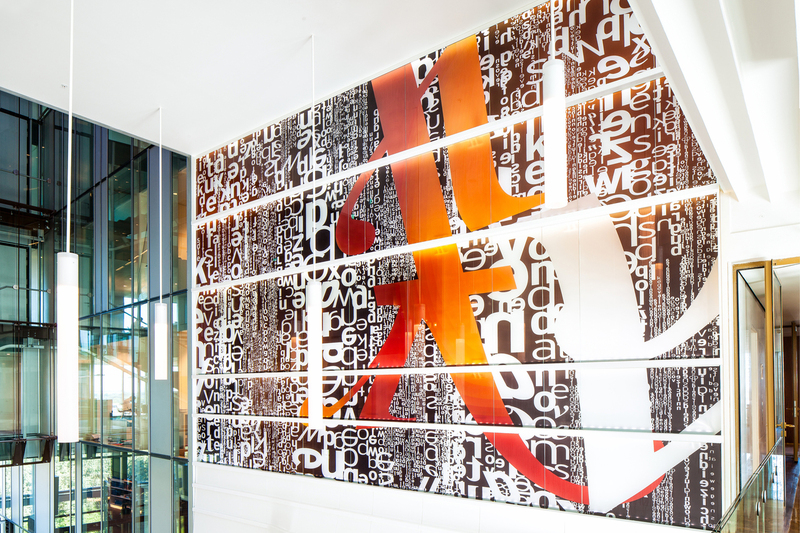 Erick van Egeraat creates sustainable office for Dutch law firm.